As both an artist and writer I have discovered over the journey of our life we can have many inner voices. The painting above is from a period of my life when my voice felt very confined. 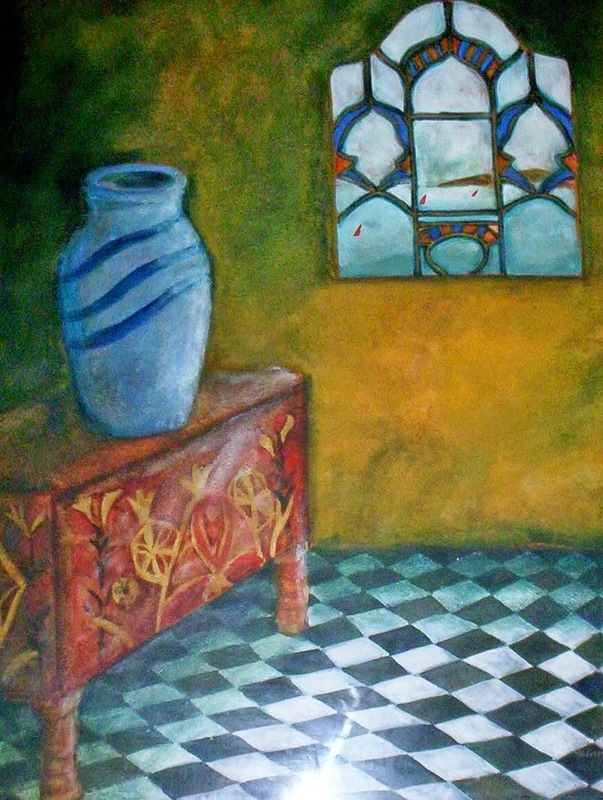 I completed a series of interior paintings which became collectors' items. These works had their own beauty but for me reflected a time of darkness and confusion on so many levels. My first published novel although written during a different phase of my life also reflected a similar voice . Writing this novel was an act of survival for my inner voice at a time when my outer voice had no means of expression. In a rapidly changing world finding our inner voice can be a struggle and many different voices can emerge as life throws different experiences our way. These voices may differ widely but their truth to our inner reaction to our life circumstances is no less true.